Great work here by our new team of Dylan and Nathan as they spent a couple of days transforming Mr Fewster’s Loft in Scarborough. 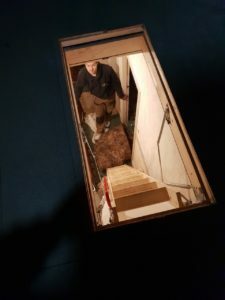 They’ve obviously listened carefully during their training as they”ve taken an older property, insulated the loft, relocated the hatch, sealed the old one and installed 450 sq ft of boarding and a Deluxe Wooden Ladder to the highest standards. Check out how the beams rise from the boards with NO gaps… now that’s the YLL way! Well done boys! 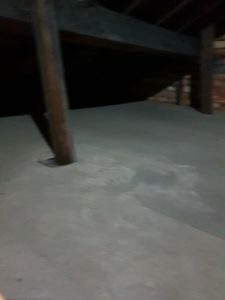 We install loft ladders, loft hatches, loft boarding, loft insulation and loft lights cleanly, quickly and efficiently – all in less than a day! 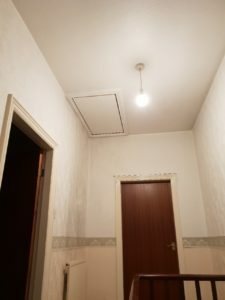 We have installed over 1000 loft packages in many local homes across Yorkshire & pride ourselves on the quality of our workmanship with much of our work coming from referrals from our own very happy customers. 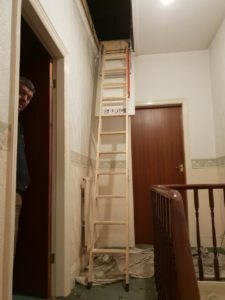 Remember, our package prices start at just £277 + VAT which includes a 2 section loft ladder, 50 sq ft of boarding and a light, all fitted by our time served tradesmen so you can be assured that, whatever your requirements, we can deliver the Quality, Integrity and Value you should expect when someone works in your home.